Summary from Goodreads: Autonomous features a rakish female pharmaceutical pirate named Jack who traverses the world in her own submarine. A notorious anti-patent scientist who has styled herself as a Robin Hood heroine fighting to bring cheap drugs to the poor, Jack’s latest drug is leaving a trail of lethal overdoses across what used to be North America—a drug that compels people to become addicted to their work. 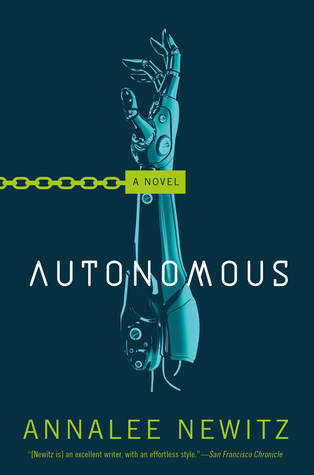 Review: I was immediately drawn to this book by the promise of epic robot battles and mysterious destruction. The book starts off throwing you right into the action. The Sci-fi jargon is heavy, but perfect for this kind of book. Even though I only got a peak from the few chapters I received from Netgalley, I can't wait to pick up the book and finish it.